(BPT) - With the newly passed tax reform bill, the Tax Cuts and Jobs Act (TCJA), now is the time to start thinking about how this will affect you so that you can plan ahead for the outcomes you will start to feel in your paycheck as early as February 2018. 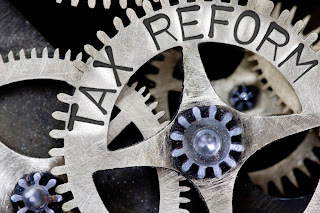 This tax reform affects virtually everyone; however, families, homeowners, residents of high-tax states, the medically uninsured and small businesses will be especially affected. Most taxpayers will experience changes that could reduce or increase their taxes owed. If you're not sure how this may affect you, here is a summary of possibilities. Like most taxpayers, many families will be affected by the loss of personal and dependent exemptions of $4,050 per person. However, families with income under $200,000 ($400,000 for joint filers) will be eligible for an increased child tax credit of $2,000. Those with income over that amount may be eligible for a smaller credit. This, along with larger standard deductions, may or may not make up for the loss of the personal exemption. Families with dependents over the age of 16 may also qualify for a new family tax credit of $500 for each dependent who does not qualify for the child tax credit. Homeowners and residents of high-tax states like California, New York and New Jersey, who typically itemize because they have large expenses like real estate taxes and state and local income taxes, may not be able to get the full tax benefit for these expenses, which are capped at $10,000. Some may not find it worthwhile to itemize going forward. Itemizing deductions is only worthwhile if all expenses exceed the standard deduction. Starting in 2019, there will no longer be a penalty for those without health insurance. The penalty, which had become more and more expensive since first implemented in 2014, will not apply to taxpayers without insurance in 2019. Taxpayers who did not have insurance for all of 2017 and do not expect to be insured in 2018 need to make sure to talk to a tax professional, who can help you identify if you qualify for a penalty exemption. Some of the largest changes in the tax reform legislation apply to businesses, both large and small. These changes may also affect some rental activities. Corporations will see their top tax rate reduced to 21 percent from the current top rate of 35 percent, starting in 2018. Pass-through entities (LLCs, partnerships and S corporations) and self-employed individuals will be able to deduct 20 percent of their business income, subject to some limits (based on the type of business and income) and phase-outs (based on the partner's/shareholder's total income). Under the current law, taxpayers can reconvert a Roth IRA into a traditional IRA. This allows taxpayers to avoid paying high tax bills on an amount of money that had fallen in value after the conversion. Now, taxpayers will no longer be able to reconvert a Roth IRA to a traditional IRA. The bottom line is that with this new tax legislation, you're still going to need to get your documents in order and file your taxes, as well as decide if you're going to itemize and what deductions work for your personal situation. This year, it's more important than ever to talk to a tax professional about how this affects you to ensure that your taxes are done right and that you have a clear understanding of how changes that take effect in 2018 will impact how you file in 2019. To learn more about the tax reform, how it may affect you and what steps you can begin taking to reduce what you owe in 2018, visit www.hrblock.com or make an appointment with a tax professional.